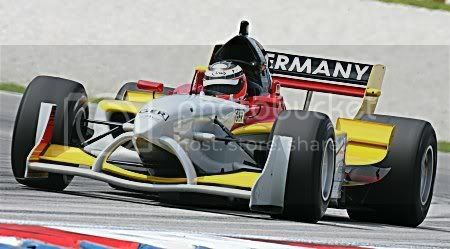 Sepang – A1 Team Germany's Nico Hülkenberg has set the benchmark for this weekend's Astro A1GP Sepang, Malaysia races, setting the fastest times in today's two practice sessions. The 19-year-old set a stunning lap time of 1:51.789secs on his first flying lap, over three seconds quicker than last season's Sepang pole time. In a session interrupted by rain, Hülkenberg was over one second faster than China's Congfu Cheng and New Zealand's Jonny Reid.